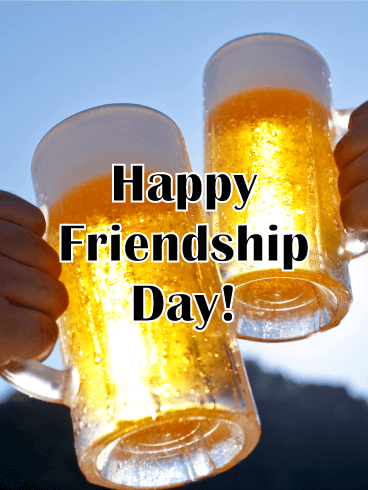 Raise a glass and toast to the best friendship you have ever had! Any time you spend with your friend is amazing, but the times you spend relaxing and drinking together are the best. 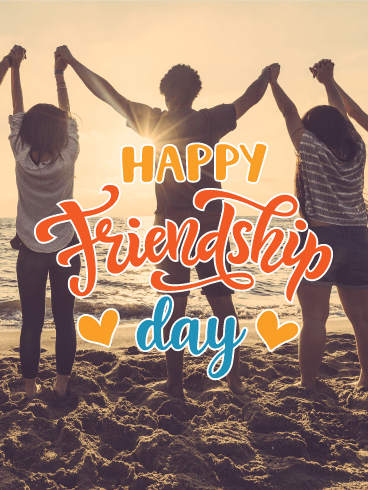 You know that you have found the world's best buddy in your friend, so use this fun Happy Friendship Day card to let them know! Send it today! Sometimes, our friends are the people who are most like us. Other times, we become friends with the people who　complement us the most. This Friendship Day, say thank you to the people who have stuck with you through the good and bad times. 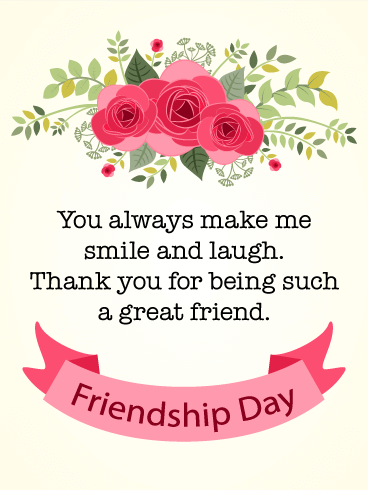 Use this Friendship Day card to celebrate your closest friendships and show them how much you appreciate them! How do you know when someone is your best friend? When they let you do all sorts of crazy things and even help when needed! 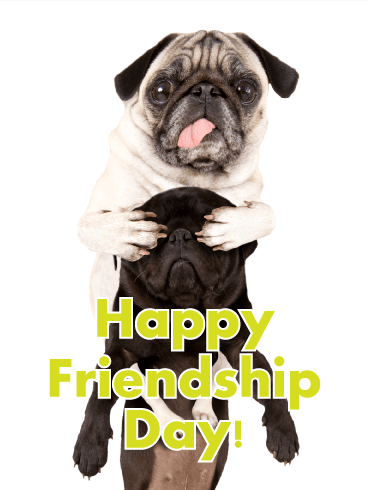 Like the silly pugs on this Happy Friendship Day card, your friend is your partner-in-crime and the person you know you can turn to for any need. Use this special day to tell them how much they mean to you and how happy you are to know them! Are you and your friends known as selfie kings and queens? 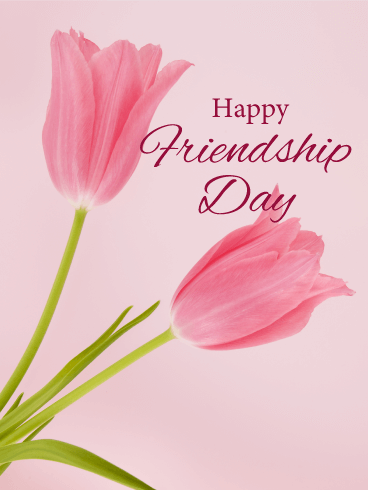 If so, you have found the perfect card to send them for Friendship Day! 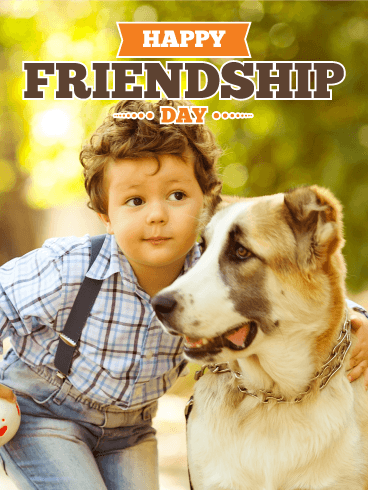 Like the two cute pups on this Happy Friendship Day card, your friends are always up for a good time spent together. With all the pictures you have of the fun times you've enjoyed, you'll always be able to remember the best moments of your friendship! You and your friend are like two peas in a pod or two flowers on the same plant. You laugh at the same jokes, like the same things, and always have the greatest times together. For Friendship Day this year, tell your friend how happy you are to be a two-of-a-kind pair. 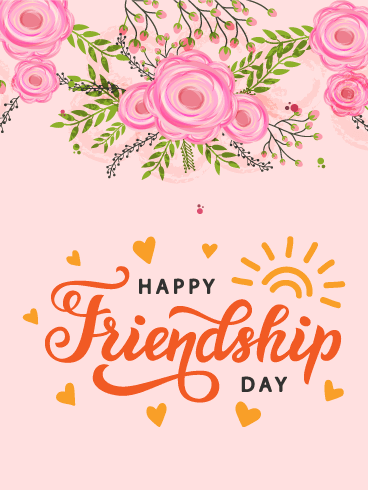 With the beautiful pair of flowers on this Happy Friendship Day card, you can show your friend how much you love having them in your life! When you were a child, did you ever make a pinkie promise with your best friends? Did you vow to always remain friends, no matter what happened in life? 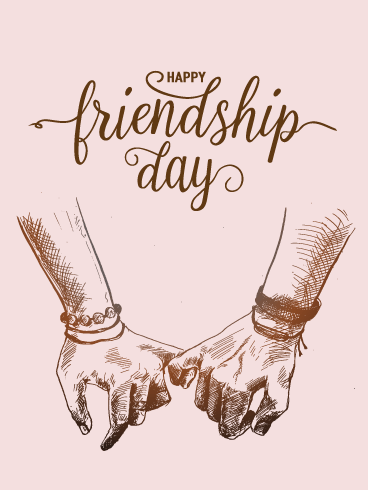 If so, this Happy Friendship Day card is the perfect way to celebrate the relationship you have with your friend! The cute design will show that you are happy to be friends for life with the people you love most! The friendships we make are often the most important relationships we form. 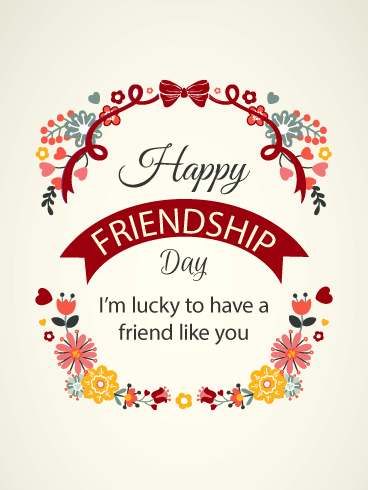 This year, let your friends know how much you appreciate them by sending this Friendship Day card! This beautiful card is the perfect way to share how much your friendships mean and how grateful you are for your friends. 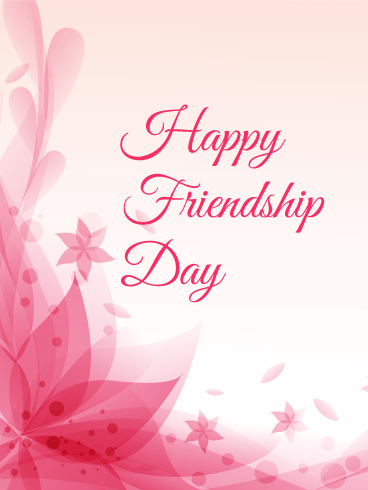 Celebrate Friendship Day this year with the perfect card for the perfect friends! When you are having a bad day or just need a reason to smile, your friend is the person you turn to. 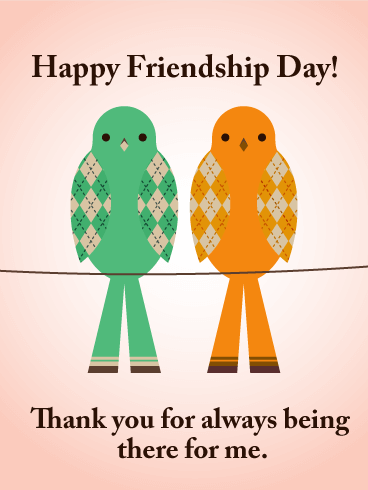 Let your friend know how much you appreciate them by sending this Friendship Day card! The roses at the top will act like a beautiful bouquet to show your gratitude and the sweet message will tell them how much you care for them and their friendship. Do you have a friend who always has your back? Do you want to tell them how grateful you are for their love and support? 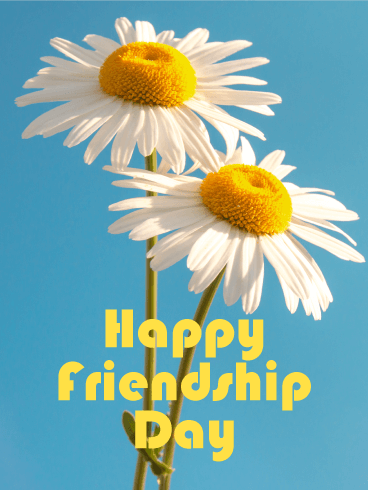 Then send them this Friendship Day card! The sweet words, along with any message you include, will tell your friend how much they mean to you and how important your friendship is. 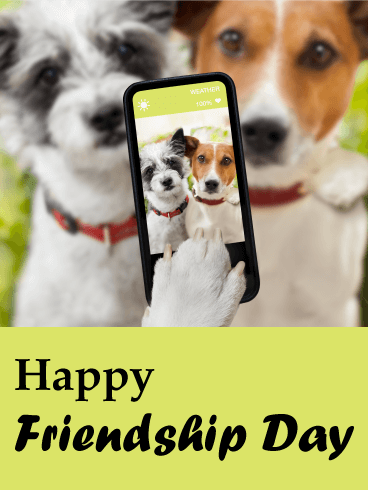 Send it to your best friend today!